Posted on	Wednesday February 24, 2010 in Laugh., Technology. This is really cute. If only things can be undone quite so easily. But still, very cute. 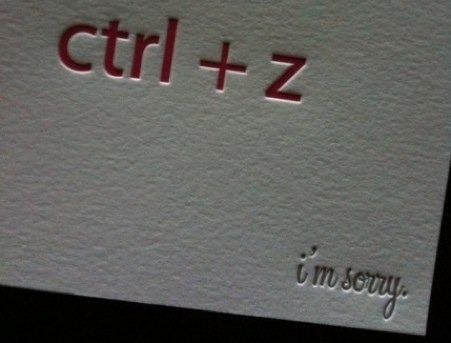 And what I really need in my life is a fully functioning ctrl f. Is someone in NASA working on this already?